The Early Entry tickets include early entry and a reserved section in front of the stage. Arrive prior to doors at 6:30pm to get the best spot if you purchase either of these tickets. The Fillmore Philadelphia is a spectacular, multi-faceted 25,000 square foot venue conveniently located 2.5 miles from the Convention Center in the lively Fishtown district. Completely renovated and home to a beautiful and state-of the-art 2,500 capacity live music club, this versatile space is the perfect blend of rock and elegance, both classic and cutting edge. 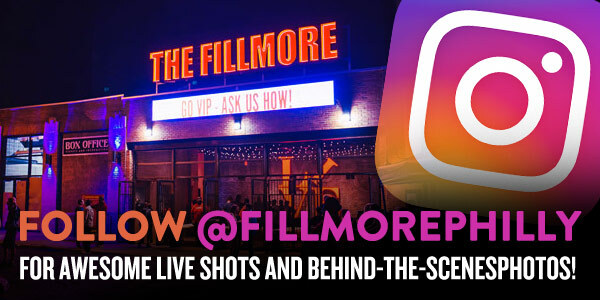 The venue also features our club within a club, the 450 capacity Foundry complete with its own bar, stage and top-of-the-line production is located on the second floor of The Fillmore.